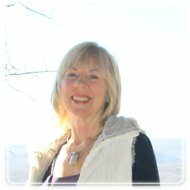 Silver Spring Therapist: Nancy Montagna - Therapist 20910. Positive Psychology: Applying The Results Of Happiness Research. Send A Message To Dr. Montagna. I am a licensed clinical psychologist with many years experience. I call what I do “solution focused” because my aim is to help you to move toward the life and relationships you want as rapidly as possible. Some of our habits of perception and reaction were formed long ago when we didn’t know the options. However, I am not interested in endless wandering through the pains of the past except as they are relevant to how you are experiencing your present situation. I am a good listener but I will also engage with you fully and be your ally. Together we will find the best strategies to get where you want to go. My professional tool bag includes psychodynamic psychotherapy, cognitive behavioral therapy (CBT), emotional intelligence, mindfulness practice, emotion-focused therapy, and brief therapies such as hypnosis, EMDR and NLP. Most recently I trained for six months with Martin Seligman, noted researcher and author, to apply the latest research in Positive Psychology. (Positive Psychology is the study of what makes people happy, strong, resilient, and good.) I have always been interested in what is effective, regardless of theoretical underpinnings. Personally, I have been married for over 40 years and am the mother of two grown children. I divide my time between Silver Spring and the Virginia mountains. I enjoy hiking, dancing, yoga, gardening, singing, improvisation, and, especially, the beauty of nature. I am interested in health, in prehistory, and in ancient history. I love my work. I am happy as long as I am learning and making a difference. So far, life keeps getting better! For a more detailed account of my training, professional activities, and professional affiliations, please see my web site, http://www.nancymontagna.com.